FIG. 24-16. Premature ventricular contractions (PVCs). Top: unifocal PVC. Center: interpolated PVC. Bottom: multifocal PVCs. Occasionally, a ventricular fusion beat occurs when supraventricular and ventricular impulses depolarize the ventricles almost simultaneously. The QRS configuration of a fusion beat contains features of the individual components. A PVC may be confused with an aberrantly conducted supraventricular beat. Several clinical and ECG criteria can be used to help distinguish aberrantly conducted supraventricular beats from PVCs; this is discussed later in this section. 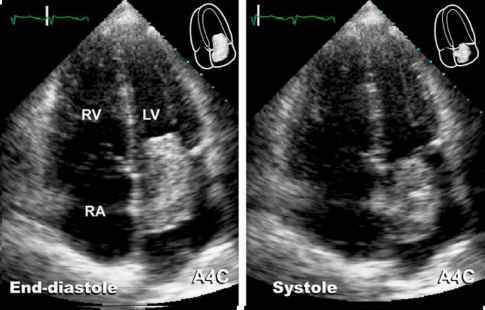 Clinical Significance PVCs are very common, even in patients without evidence of heart disease. They occur in most patients with ischemic heart disease and are universally found in patients with acute myocardial infarction (MI). Other common causes of PVCs include digoxin toxicity, congestive heart failure, hypokalemia, alkalosis, hypoxia, and sympathomimetic drugs. While there is a correlation between the severity of underlying coronary artery disease and the degree of ventricular ectopy, there is disagreement as to whether ventricular ectopy itself is an independent risk factor for future morbidity or mortality. Most studies indicate that repetitive PVCs (two or more in a row) do have some associated independent risk in patients with coronary artery disease, but the evidence for other forms of ventricular ectopy is less convincing. Lown has made an attempt with his classification to quantitate the risks associated with chronic ventricular ectopy, but his classification is not universally accepted ( T.a,b.!e,..2..4.-.2). It must be remembered that his classification was made using patients with recent acute MIs. JE Trçkti Oara uracutn PVLi;.